Me: What is Nyepi and who celebrates it? Arlo: Nyepi is the day of silence and the Balinese Hindu people celebrate it to trick the evil spirits but the island has to be silent too. Me: EVERYONE has to be Silent on Nyepi? Arlo: Well, yes. But as long as your quiet it’s okay. The Banjar won’t bother you. Me: Who are the Banjar? Arlo: They are like the police but more powerful and they are part of the Hindu temples… If you’re caught outside or you have your lights on they might throw a rock at your window or yell at you… one year we had a light on and they came to our door with swords and asked us to turn off our light but they didn’t yell at us. Me: What are all the rules? Arlo: For the Balinese the rules are: No fire, no talking, no electricity, no leaving your house. You are supposed to fast ( but kids only have to fast half day), be silent and meditate for 24 hours. For everyone else you need to stay inside and be very quiet but if you aren’t Hindu you don’t have to fast or meditate. Everything is shut down even the airport! Me: What happens the night before Nyepi? Arlo: It’s like a big Halloween party without the candy! 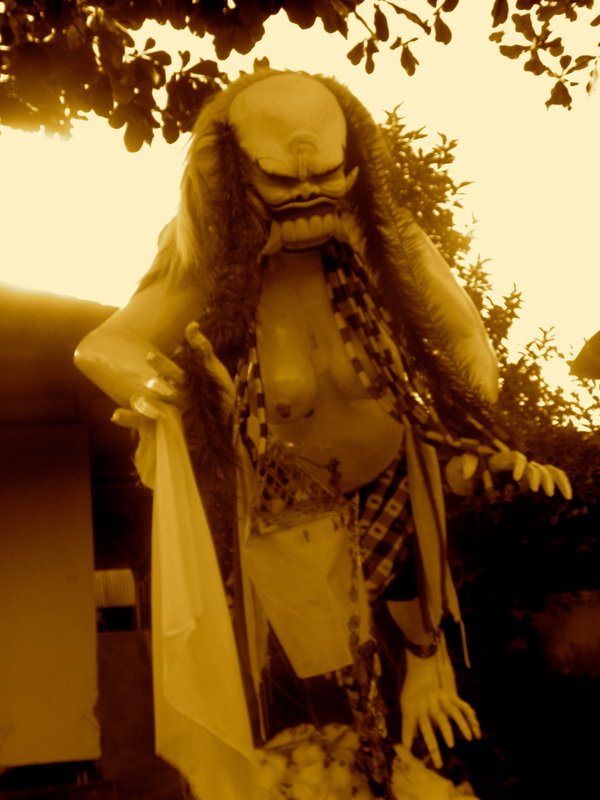 Each village makes an Ogoh Ogoh ( paper mache Monster) and at dark they parade them through their village. Some of them are huge and really heavy and the teenage boys carry them on bamboo pads. They are made to scare away any evil spirits. Once Nyepi starts everyone must be inside that way the evil spirits that are left will be tricked into thinking everyone is gone and they will leave the island in peace for another year. Me: wow, that sounds super cool Arlo, what do you think of Nyepi? Arlo: it’s cool, watch my slide show to see pictures from the night before Nyepi. Arlo, you are such a smart kid, thanks for explaining that wonderful day to everyone! yes arlo- i never knew about this. thanks so much. you have such great parents- they are giving you the world with love. i can’t imagine a better childhood. Thanks for sharing Nyepi with us, Arlo. You took some great photos! It sounds like a really special time. 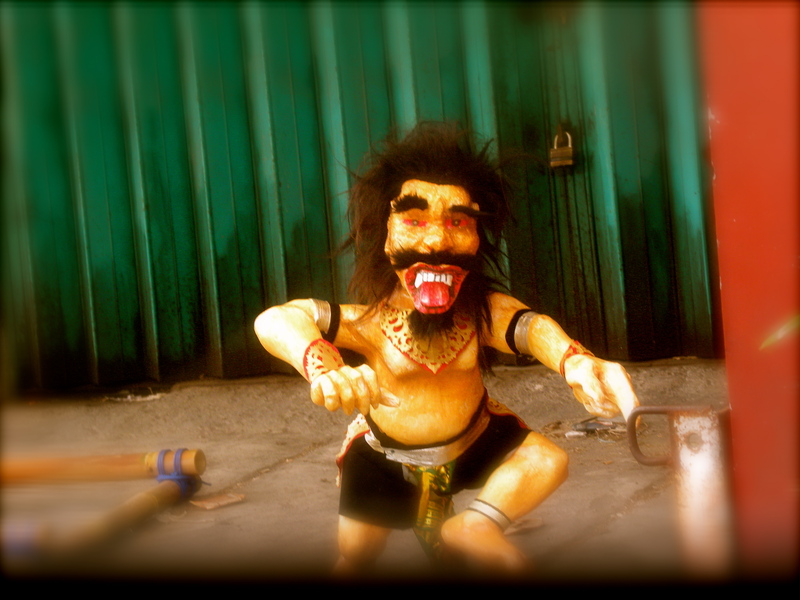 So is Nyepi the one time each year where evil spirits roam the earth- like Samhain and Halloween? 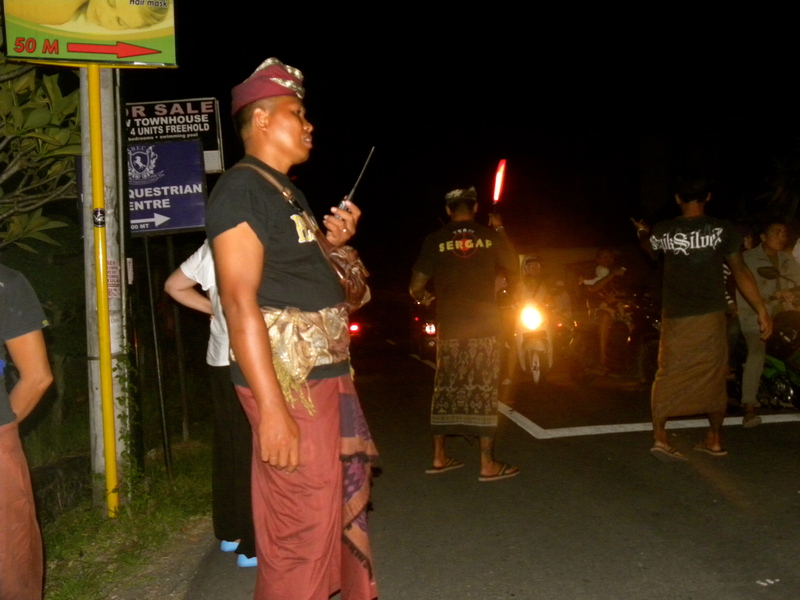 There is always evil spirits and black magic on Bali but this is the only night when they come from all over. 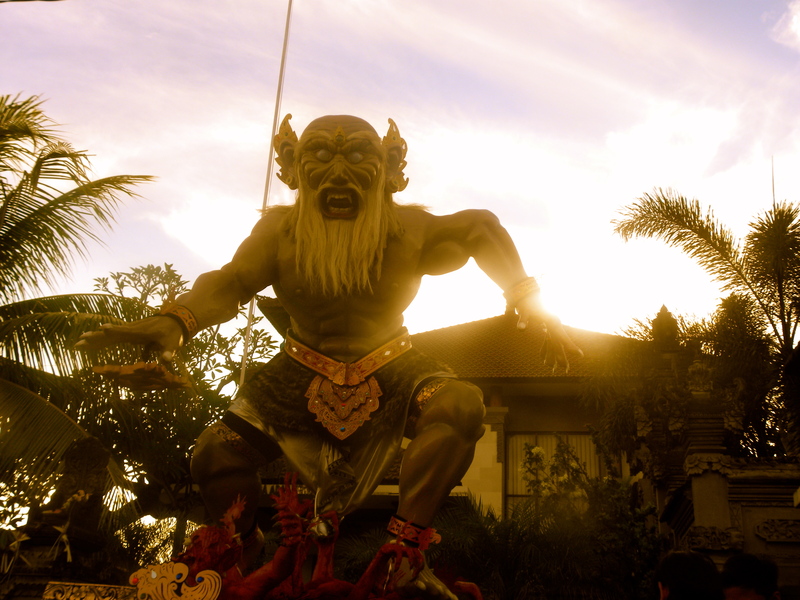 The ones on nyepi are the big ones like Vishnu or Budha but bad instead of good. Wow, great photo’s Arlo – I learned something new today. Thanks!!! Arlo!How interesting.Thanks for the great pictures and explaining such a neat thing.Miss you guys. « Welcome to the world…..